Fees associated with filing trademark applications in Indonesia, as well as other trademark fees, are available in the fee calculator. 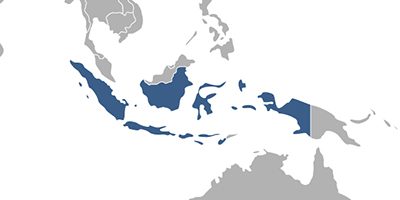 Multiple-class trademark applications are possible in Indonesia. - representation of a trademark. An original of a signed Power of Attorney may be filed within three months from the filing date on condition of payment of a surcharge. A certified copy of the priority document and its translation into Indonesian should be submitted to the Indonesian IP Office within three months from the filing date. The opposition period in Indonesia constitutes 2 months from the publication of a trademark application. No official grant fee is stipulated. The validity term of trademarks in Indonesia constitutes 10 years. Registration may be renewed for consecutive ten-year periods an unlimited number of times. If a trademark is not used for three consecutive years, the trademark registration can be cancelled at the request of a third party or on the initiative of the Indonesian IP Office. Foreign applicants are required to perform trademark prosecution through a registered Indonesian trademark attorney. Online Database for Indonesian Trademarks Search.